Types of credit cards are available for all types of people. What are the types of credit cards available in South Africa? Student Credit Cards. Designed for high school, college and university students. They enjoy lower interest rates, but available credit limited to streamline spending. Reward Credit Cards. Offer cash-back or rebates on purchases. Business and Corporate Credit Cards. Designed to help keep company expenses in check. Co-branded Credit Cards. All cards linked via banks to major outlets such as retails stores, cell phone companies and airlines. If handled responsibly, credit cards do not have to become a nightmare because of penalties and interest charges. In fact, if used correctly, card holders can earn higher interest rates on their credit balances than in most other bank accounts. Rewards. Issued in terms of rebates across a wide spectrum of items each time a credit card is used for a transaction. Keep it in the Black. Credit cards with a positive balance earn higher interest rates than those offered for debit cards. Free Point of sale purchases. Save a hefty amount of money on Point Of Sale transactions. These are FREE when using credit cards, unlike debit cards. Insurance. FREE basic travel insurance is offered when purchasing tickets with a credit card. This is yet another form of saving. Branded Credit Cards. Large South African retailers and service industry suppliers are linked with banks and offer credit card holders exclusive discounts. Keep It Clean. Avoid unnecessary bank charges by paying credit cards on time and not exceeding credit limits. Use your credit card responsibly and discover a new freedom when shopping. 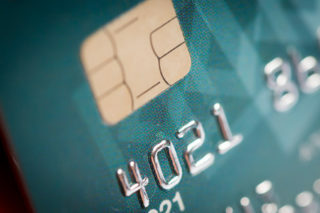 ← Good Credit Cards – More Information About Them Here!